It seems that my criticism of aging philosopher Thomas Nagel has got the folks at Uncommon Descent running scared. That's because they know their bogus claims about information are being exposed. I gave an example that trivially refutes Stephen Meyer's claim that "information always comes from a mind": weather prediction. Meteorologists record information such as wind speed, wind direction, and temperature to make their predictions. Under both the informal definition of information used in everyday life, and the formal technical definitions of "information" universally accepted by mathematicians and computer scientists, these quantities indeed represent "information". What is the response? Of course, it's the old information bait-and-switch trick: Dembski is now claiming that my example was "unspecified information", whereas Meyer was talking about "specified information". Dembski is an old hand at the information bait-and-switch game, as Elsberry and I showed in detail in our peer-reviewed article. He moves from one definition to another seamlessly, as it suits him, for whatever argument is at hand. This is most apparent in his estimation of probabilities, where he switches back and forth between the uniform probability interpretation and the causal-history interpretation, depending on which one gives the answer he requires. We discuss this at length in our article. Furthermore, the notion of "specification" comes from Dembski himself, and as Elsberry and I showed, it is completely incoherent. Nobody can say whether a given string is "specified" or not, and "specification" fails to have the properties Dembski claims it has. No mathematician or computer scientist, other than Dembski and his intelligent design friends, uses Dembski's measure or does any calculations with it. To pretend that it is meaningful is not honest. So, a challenge: which, if any of the following strings constitute "specified information"? Be sure, in your answer, to give all the things that Dembski says are required before one can be sure: the space of events, the rejection function, the rejection region, the "independently-given" specification, the relevant background knowledge, the independence calculation, and so forth. Meanwhile, Dembski needs to inform his acolyte "Joe G", who thinks that the proper definition of "information" is "the attribute inherent in and communicated by one of two or more alternative sequences or arrangements of something (as nucleotides in DNA or binary digits in a computer program) that produce specific effects". Well, by that definition, my example of the information used in weather prediction is indeed information -- there are many alternatives in wind speed, direction, and temperature, and no one can doubt that different arrangements of these quantities produce different effects -- namely, different weather. Joe G, get with the program! Just say my example is "unspecified", and be done with it! No need to trouble yourself with actual thinking. No mathematician or computer scientist, other than Dembski and his intelligent design friends, uses Dembski's measure or does any calculations with it. To pretend that it is meaningful is not honest. Are there any examples where even Dembski and his ID friends have actually calculated the "specified complexity" of a biological structure or process in a rigorous way? That is, in a way that would be replicated by a disinterested observer? If one uses "function" as the specification, as Dembski often does, then why won't they calculate the "specified complexity" of, say, the irreducibly complex instruction strings evolved by random mutations and selection in The Evolutionary Origin of Complex Features. All of the information necessary to do so is available online in the supplemental information for that paper at the link I gave. That would be a good way to assess the validity (does it measure what it purports to measure?) and reliability (does it do so consistently?) of Dembski's SC measure. But no IDist can be bothered to actually validate that purported measure. "At any rate, no biologist I know questions whether the functional systems that arise in biology are specified." They also don't question whether biological systems are quibbledunk, kalloo-kallay or painted an invisible shade of salty. No, not really. Dembski's method has never been used in detail on anything but toy examples. But they know they don't have to. All they have to do is say "information" and "complex" and the rubes lap it up. On one branch of his equivocation (the mathematical one) Dembski defines information (and complexity) to mean improbability. To say that only a mind can generate improbability (whether of a "specified" event or not) is meaningless drivel. "Dembski is an old hand at the information bait-and-switch game"
He certainly is the master baiter. "Are there any examples where even Dembski and his ID friends have actually calculated the "specified complexity" ..."
"...never been used in detail on anything but toy examples." Is "specified complexity" a quantity or a quality? Has it been calculated for even toy examples? I will allow that they have "calculated" something for some of those toy examples, but have they called the quantity that they've calculated "specified complexity"? I don't know, either, whether they've done all the details of the calculation to result in an absolute, objective number. How would they take account of the specified complexity of the atoms, electrons, quarks, photons, and space-time? Actually, the aforementioned JoeG has calculated CSI for, of all things, a cake. He has also given a step-by-step procedure for calculating the CSI of a baseball. The "information" a cake contains is the number of characters in the recipe written in English, where there is one bit per character??? Zowee! That boy needs serious help. Oh come on, Nagel's an idiot who's long been into woo. Why these dolts are called "brilliant" by anybody, including Shallit, I really don't know. Maybe he could have been bright--I don't know--but when he's rambling on about how mind might "not be physical," he's bound to write like an idiot. As he did in TLS. The phenomena of consciousness do no such thing, and he clearly has absolutely no reason to say so. The fact is that he's been writing like an IDiot on the "mind" for years, so the fact that he's praising an IDiot's book is only part and parcel of his mindless tripe. The reason people are surprised that some supposedly "brilliant" philosopher praises transparent pseudoscience is that they constantly pander to ridiculous ideas like that the mind might not be "physical" (itself a truly problematic term in philosophy, which a smart philosopher should know). Consciousness studies might be worth something if it would get rid of the endless woo (like Nagel's), including, of course, quantum woo (not quantum mechanics, certainly, rather the garbage that is only "analogous" with it and has nothing to do with the phsyics). Of course counscious experience can be identified with physical facts, and it has been done for some time. The fact that consciousness is only of data which are in our brains is great prima facie evidence that consciousness comes from those data. What a good philosopher would note is that consciousness is experienced as "what is real," while of course reductionistic phenomena are our conscious models of something observed. Why would it be surprising that consciousness is unlike the abstract models with which we accomplish science? And naturally conscious experience isn't an illusion, or our conscious explanations for observed phenomena would be false. In fact, we can question whether or not our experiences of the "outside world" are real at all--but we can do all of our science with reference to conscious experience alone. There is no "exclusive ontology," mainly because "ontology" itself is not only a fiction, it's a useless fiction. There is absolutely nothing in science that excludes experiences which don't reduce down to "mere physics," yet we know inductively that, for instance, the first and second laws of thermodynamics are reliable, and so pretending that conscious thought falls outside of such laws is extremely bad thinking. I also think that there is no reason to undertake the project in the first place. We have more than one form of understanding. Yes, but we have only one world that is ruled by physics--including the first and second laws of thermodynamics. I do not have to pretend that my consciousness truly reduces down to such laws in order to be quite certain that any explanation for consciousness that ignores physics is hogwash, and will fail to explain anything at all well. Different forms of understanding are needed for different kinds of subject matter. The great achievements of physical science do not make it capable of encompassing everything, from mathematics to ethics to the experiences of a living animal. It doesn't "encompass", it simply sets the ground rules for any meaningful explanation. Consciousness is worthless for dealing with the world if it isn't coupled as stringently to physics as the proverbial billiard balls striking each other are. We have no reason to dismiss moral reasoning, introspection, or conceptual analysis as ways of discovering the truth just because they are not physics. Ridiculous strawman attack. Virtually no one does dismiss those things because "they are not physics," particularly not conceptual analysis. I do reject Nagel's mindless dismissal of the usual epistemological bases of science when discussing such aspects of our experience, as the same epistemology that allows us to trust introspection and conceptual analysis rules any explanation of "mind" and consciousness. Any anti-reductionist view leaves us with very serious problems about how the mutually irreducible types of truths about the world are related. Only if you're too stupid not to recognize that refusing to "reduce" the "Ding an Sich" doesn't in the least entail refusing to understand that the same epistemological reasoning is behind all understanding, integrating physics into understanding "mind" without supposing that "mind" has to be understood as an abstract entity. At least part of the truth about us is that we are physical organisms composed of ordinary chemical elements. If thinking, feeling, and valuing aren't merely complicated physical states of the organism, what are they? Well, they are complex physical states of the organism, without us necessarily having to reduce experience to any kind of "physical model." The explanation, insofar as it is possible, however, has to be a "physical model," because only these actually deal properly with meaningful cause and effect relationships. One trouble with Nagel is that he thinks he knows what "physics" is, when no one knows what "physics is" in a proper philosophical sense. We just call regularities within experienced phenomena "physics" for our convenience, and as Einstein noted, we can either see everything as miracle, or nothing as miracle. Nagel, not being in the continental tradition, thinks that physics is what we "know," and miracle is what we don't know, when we really know nothing about the "physical world" except our conscious models of our perceptions thereof. He's not good at doing philosophy, at least not in these areas. What is their relation to the brain processes on which they seem to depend? More: if evolution is a purely physical causal process, how can it have brought into existence conscious beings? Here's where he's a really stupid philosopher--he thinks that "purely physical causal processes" are different from consciousness. He can only assert such nonsense. However, it is true that too many analytic philosophers continue to do so (many others, following Quine et al., do not, of course). The fact is that we only know "causality" in consciousness, and we think of physical causation as being something like what we experience within consciousness. The two aren't separate at all, nor are they separable, except by using faulty epistemologies. Nagel's really asking why consciousness itself doesn't reduce down to our abstract explanations. If he could think right, he'd know that it's because consciousness is a "real experience," while physical explanations are abstract explanations for phenomena which we do not actually experience at all, but merely sense. Consciousness is explainable via similar models, but it will always be quite different from those models. More: if evolution is a purely physical causal process, how can it have brought into existence conscious beings? Above all, one can definitely see how Nagel's proclivities have been toward ID and other such nonsense, mainly because he doesn't know how to integrate science into more general epistemological considerations. He's a dualist, not because there's any good reason for accepting dualism, but simply because it's his unquestioned inheritance. And like all other dualists, including the IDiots, he circularly returns to mind as the cause of mind, thereby committing the genetic fallacy. No decent scientist would allow his circular thinking to prevail. It is Nagel who adopts such an appallingly reductionistic view of physics that "mind" can't be explained (abstractly, not "as it is," of course) via physics. Real science would never exclude the wonderful conscious experiences that we feel from physics. "Actually, the aforementioned JoeG has calculated CSI for, of all things, a cake. He has also given a step-by-step procedure for calculating the CSI of a baseball." Actually, he didn't calculate the CSI of anything; he never gives a specific number. Where does the figure "500 bits" come from? What's so special about it? Why not, say, 512? Exactly how correctly Sisson retells what Nagel said there, I don't know, but judging from his positive words for pseudoscientific tripe in TLS, I'm guessing Sisson didn't have to quotemine him. Just more evidence that Nagel's an idiot when it comes to science. Oops, it's the DI's blog, not UD's. Of course. I'm hoping that this appears after my comment about Sisson's blogpost regarding Nagel, but if not, know that it's supposed to follow it, not precede it (other comments of mine ended up out of order on this thread, although I doubt it matters much at all in those cases). The definition of "information" I provided was from "Signature in the Cell" page 86. And your example does not meet that definition. Your whining doesn't change that. As for actual thinking- Shallit has yet to demonstrate that he is capable of such a thing. One doesn't calculate CSI- it is a measurement. And one just has to count the bits, which I have done. The "information" a cake contains is the number of characters in the recipe written in English, where there is one bit per character??? Nope, I never said, implied nor thought that. IOW RBH YOU need help. So, a challenge: which, if any of the following strings constitute "specified information"? String 2 has one specified word but the string itself is not specified. Ya see it is as I said before- you just don't understand the debate. You have now demonstrated that you are incompetent. It is impossible to maintain that these things constitute a "measurement". Unless you are a moron. Second, you failed my test. The last string is specified, according to Dembski. I can provide all 5 of Dembski's requirements. Don't lie when it's so easy to check up on you. BTW, I've captured that page, in case you feel like deleting it. Why does the phrase "shooting fish in a barrel" keep running through my mind? Based on the fact that the second string looked more specified than the first, I guessed that the third one was more specified than the second. After spending about a minute trying to figure out the third string (I tried a simple cryptoquote), I gave up. What's the key? First, you claim "One doesn't calculate CSI- it is a measurement." This is false. If I am handed a functional computer program all I have to do is count the bits to see if CSI is present. If I am given a DNA sequence that specifies a functional protein- again just count the bits. If I am given an object all I have to do is figure out what it takes to make it- in the simplest form- and count the bits. And please provide that Dembski reference for the 3rd string. Also please tell me what information it contains. Note the word "MINIMUM" and the phrase "if each character is a bit". If you send me e-mail, I will give you the specification of the string. in order to determine if something has "CSI". "If I am given an object all I have to do is figure out what it takes to make it- in the simplest form- and count the bits. Sure, counting the bits in the recipe will give you a lower bound on the information content of a cake - but that doesn't mean that it is a good lower bound. It's not, it's clear that there must be way more information in a cake. I mean, I could follow your recipe to the letter and my cake will still not be identical to yours. The flour might be from a different species of grain, grown under different circumstances, or processed in a different factory. My cake form is going to be a slightly different shape, or a slightly different alloy. My oven might run slightly warmer than yours, or the air pressure might be slightly lower or higher when I bake it. Clearly, somehow, this massive amount of extra information that you didn't count is somewhere in your cake now. How would you count that information? And where did that information come from to begin with, if it didn't come from the recipe, and you didn't put it in the cake consciously either? "If I am handed a functional computer program all I have to do is count the bits to see if CSI is present." "If I am given an object all I have to do is figure out what it takes to make it- in the simplest form- and count the bits." If the object you are given is a computer program (if you consider a computer program to be an object), do you need to figure out what it takes to make it? For example, do you need to specify what computer language you used? But isn't this information not part of the program? If so, then the numbers you would get from the two procedures would be different. Can they both be correct? What if you got, say, 490 bits using the first method (counting the bits in the computer program) and you got, say 510 bits using the second method (figuring out what it takes to make it)? Also, in case that you claim that a computer program is not an object, then what if the object is a piece of paper with the computer program written on it? How would you get the number you want? Not when it is obvious that information- as in the definition I provided- is present. That you refuse to understand sa7ys quite a bit about you and your agenda. Yes with a cake- as I have said many times now- it is information all the way down. The point being is that it takes agency intervention- ONLY agency intervention to bring a cake into existence. My point is that it takes agency intervention- and only agency intervention- to bring some things into existence. And we figure that out by trying to determine what is required to do so. That's your claim, but you haven't substantiated it. Not to mention the vagueness of "agency". What is an agent? Is a chimpanzee an agent? A chicken? A bacterium? A virus? A star? Your ignorance should not be mistaken for a refutation. I recommend that you read "Nature, Design and Science" by Del Ratzsch. Agency would be any entity- from virus to ghost- that is anything other than "nature, operating freely". For example "Ghost Hunters" try to explain the observed phenomenon (if there is any) by using the explanatory filter- they first try to account for it by any means possible- sans ghost. I've read Ratsch, and discussed with him. I find his notions incoherent, because "nature operating freely" produced life as we know it. So the distinction between "nature operating freely" and biological organisms is illusory. @Joe G: why do you change the subject instead of answering my questions? We're talking about calculating information content, not whether a cake is a product of agency or not, which is not under dispute - we know it is, because we see people make cakes all the time. So please answer these questions, if you can: where did the extra information captured in your cake come from, if it wasn't in the recipe and you didn't put it in consciously? There isn't any evidence that "nature, operating freely" produced living organisms from non-living matter. Nature, operating freely cannot account for the origin of nature, ie the universe. The point is what does it take to do something- is agency required or can nature, operating freely account for it? I have made lightning- does that mean that all lightning is man-made? No. But anyways I say a recipe is a good lower bound for the information in a cake. And yes there is more but that is also the point- it is information all the way down. Oven temp doesn't change the information. Yes you could use the same recipe and not come up with the same cake. What is important- the ONLY thing that is important in this debate is what did it take to get the job done. I just used a cake recipe as an example of how one would go about figuring that out. That you have to twist that into something else tells me that you are on some agenda. Sure there is. Take a course on evolution and abiogenesis, and come back when you've understood it. Been there, done that and there isn't any evidence that living organisms arose from non-living matter via blind and undirected processes. Heck you posted something about alleged RNA self reproduction which really wasn't about RNA self reproduction. But instead it demonstrated that a great deal of our intervention was required just to synthesize RNA that could catalyze ONE bond between two other pieces of synthesized RNAs. "Oven temp doesn't change the information." Yes it does. Changing the oven temperature changes the end result, no matter how slightly. Therefore, the end result will have a slightly different description - which might be longer or shorter as well. "Yes you could use the same recipe and not come up with the same cake. What do you mean, not important? If I don't get the same cake, it means you haven't given me enough information to reproduce your cake. This is what it's all about! You claimed you could tell us how much information is in your cake, how much information is required to recreate it. So please, tell us: how much information would I need to exactly recreate your cake? How much of that information did you put in consciously? And where did the rest come from? Or are you ready to admit you can't answer these questions? "That you have to twist that into something else tells me that you are on some agenda." Says the guy who wants to replace science with God. Oh, the irony. You claimed you could tell us how much information is in your cake, how much information is required to recreate it. I only cliamed the the minimal amount of information contained in a cake can be found in its recipe. And that we can try to figure out how much information a cake contains by trying to make one. And all of that is just to show that it takes agency involvement to get the result. Says the guy who wants to replace science with God. I don't want to replace science with "God". I am not even religious. If the Bible were refuted tomorrow I would just say that it figures. "I find (Ratzch's) notions incoherent, because "nature operating freely" produced life as we know it. So the distinction between "nature operating freely" and biological organisms is illusory." First, one must presume that there was no design involved. It might be a safe assumption; it's what a scientist must presume, at least nowadays, but it's still a presumption. It took years for Ruse to admit that. "There isn't any evidence that "nature, operating freely" produced living organisms from non-living matter. Shallit responds: Sure there is. Take a course on evolution and abiogenesis, and come back when you've understood it." "More than 30 years of experimentation on the origin of life in the fields of chemical and molecular evolution have led to a better perception of the immensity of the problem of the origin of life on Earth rather than to its solution. At present all discussions on principal theories and experiments in the field either end in stalemate or in a confession of ignorance. New lines of thinking and experimentation must be tried." (Dose, Klaus [Director, Institute for Biochemistry, Gutenberg University, Germany], "The Origin of Life: More Questions Than Answers," Interdisciplinary Science Reviews, Vol. 13, No. 4, 1988, p.348). Your challenge of "take a course on abiogenesis" turns out to be nothing more than a bluff. You don't really understand anything, so quit pretending that you do. I didn't say that there was a comprehensive theory of abiogenesis with every step spelled out. What I said was, responding to Joe G., that there was evidence that living things arose from non-living things. And there is. You can't disprove this by quote mining by popular science writers. What you need to do is look at the evidence. Your quotes are 13 and 21 years old. We've learned a lot since 1996 and 1988. "Evidence" means that we have some ideas how about each of the large steps needed in abiogenesis might have happened, and we have no reason to believe right now that any of the steps are impossible. Go read http://pandasthumb.org/archives/2008/07/what-critics-of.html and come back when you've understood it. There isn't any evidence that non-living matter gave rise to living organisms via blind and undirected processes. The only evidence we have shows that only life begets life. DNA/RNA/protein-based life was preceded by something even simpler, an RNA world or at least an RNA-heavy world. There isn't any evidence for that. The increasingly simple ancestors of modern life weren’t made out of just anything, they were made out of chemicals that just happen to be generated by plausible abiotic mechanisms found in early solar systems. No evidence for that either. So what would the hypothesis look like? 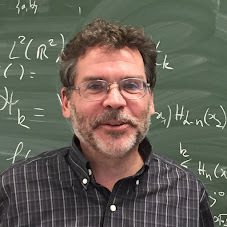 Can Matzke even present a testable hypothesis? So the bottom line is the ONLY evidence is the refusal to allow a design inference. Yes, there is. Go read any book on abiogenesis. Read a book? I have read many concerning the OoL. They contain speculations but no evidence that such a thing is even possible. I am interested in SCIENTIFIC evidence. And if there was any such evidence you should just be able to point to it. So Jeffrey you say there is evidence yet you cannot produce it. And you say that I am lying. Doubtful. But if so, you haven't understood them. I did. But if you stick your fingers in your ears and say, "Na, na, I can't hear you! ", of course it's not going to register. Matzke's post contains lots of evidence. I can't help it if you can't read it or understand it. What do you think people do at abiogenesis conferences? Sit around and say "Maybe it happened this way?" No, they present testable hypotheses and test them. For example, a reasonable hypothesis about the RNA world is that the 4 bases arose from simpler chemicals. This has been tested. Go read Nature. 1995 Jun 29;375(6534):772-4. An efficient prebiotic synthesis of cytosine and uracil. Robertson MP, Miller SL. No reasonable person could say this paper is not evidence. Now, it may not be enough evidence to convince you; but to say it does not constitute evidence at all is clearly irrational. Excuse me but getting TWO of the four bases is not evidence that non-living matter can give rise to living organisms via blind and undirected processes. To say that it is is totally irrational. So yes the paper is evidence- but not any evidence that supports your claims. You claim to know about abiogenesis, but somehow you don't know that extremely famous previous experiments had already synthesized the other two bases? You don't know that it was just cytosine and uracil that were deemed harder to get in reasonable concentrations - which is why the paper I cited is famous? Sheesh, it explains this in the very first sentence of the paper I cited. But morons would prefer to dismiss work they haven't read or understood. It's pointless to argue with people like Joe. No matter how much evidence is presented, they dismiss it without reading it or understanding it. Only a moron would think that even getting all four RNA bases is evidence that living organisms arose from non-living matter via blind and undirected processes. An Efficient Prebiotic Synthesis of Cytosine? This was claimed by Robertson and Miller. They rightly disagreed with a previous suggested synthesis of cytosine from cyanoacetylene and cyanate (OCN–) because cyanate is rapidly hydrolyzed to CO2 and NH3. Instead, they heated 10–3 M cyanoacetaldehyde with various concentrations of urea ((NH2)2CO) in a sealed ampoule at 100 °C for five hours with 30–50 % yields of cytosine. Urea is produced in spark discharge experiments with N2, CO and H2O. However, Shapiro criticised this experiment on the grounds of the unavailability of cyanoacetaldehyde and instability of cytosine, as above. Robertson and Miller avoided the latter problem by stopping the reaction after five hours. But in a real prebiotic world, such a reaction would most likely continue with hydrolysis of cytosine. Shapiro also shows that urea is too unstable to reach the concentrations required (>0.1 M). Urea exists in equilibrium with small amounts of its isomer, ammonium cyanate, and since cyanate is hydrolysed readily, more urea must convert to maintain the equilibrium ratio (K = 1.04 x 10–4 at 60 °C). Robertson and Miller’s sealed tube thus provided a further example of unacceptable investigator interference, because this prevented escape of NH3, thus unrealistically retarding cyanate and urea decomposition. In an open system, ‘half of the urea was destroyed after 5 hr at 90 °C and pH 7’, and t½ is estimated at 25 years at 25 °C. The usual cross-reaction problem would intervene in the real world. For example, urea can react with glycine to form N–carbamoyl glycine, which would remove both urea and amino acids from a primordial soup. Also, the primordial soup would be far too dilute, so Robertson and Miller propose that seawater was concentrated by evaporation in lagoons. But this would require isolation of the lagoon from fresh seawater which would dilute the lagoon, evaporation to about 10–5 of its original volume, then cytosine synthesis. However, such conditions are geologically ‘rare or non-existent’ today. Concentrating mechanisms would also concentrate destructive chemicals. The conditions required for cytosine production are incompatible with those of purine production. Therefore this scenario must also include a well-timed rupture of the lagoon, releasing the contents into the sea, so both pyrimidines and purines can be incorporated into a replicator. First, you said getting two was not enough. Then, when I pointed out that the very first line of the paper (which you evidently didn't read) stated that the purines had already been done, you retreated to four was not sufficient. Congratulations! The most transparently moronic attempt to move the goalpost I've seen. But what can you say about a guy who claims he knows about origin of life, but knows nothing about the literature? Hee, hee! Jonathan Sarfati! Who're you going to quote next? Ken Ham? YOU moved the goalposts from the OoL to nucleotide synthesis. Only a moron would think that getting the nucleotides is evidence for the origin of life. But I understand that is all you have and that is why iot is soooooo important to you. It is also obvious that you don't know very much about biology. If you did you would know that just getting nucleotides is meaningless. Also I see you have to attack the person rather than the data that refutes your nonsense. It is impossible to argue with someone whose view of science is so skewed. We know life on earth currently depends on RNA and DNA. Therefore, any abiotic synthesis of these basis constitutes evidence towards abiogenesis. Why is this so hard to understand? An honest person might say this evidence is not enough, but to claim it is not evidence is clearly irrational. I'm not a biologist, but even I know about the abiotic synthesis of purines - which you did not. First you said getting two bases was not evidence. When I pointed out that, in fact, all four had been obtained, you moved the goalposts. That is clear to anyone reading this thread, your attempts to hide it notwithstanding. "Hee, hee! Jonathan Sarfati! Who're you going to quote next? Ken Ham?" Thanks for reminding us that the source is more imporant than the message. Listen, I'm not even saying that what Sarfati says is the truth. I'm just saying that your ignoring his words and relying on an ad hominem attack is beneath you, I think. You continue to be a crashing bore. Sarfati's nonsense has been adequately debunked elsewhere; do a google search. My comment was directed to Joe's choice of source. If you quote moronic creationist objections, don't expect to be taken seriously. He can't produce any peer-reviewed literature in support of his claims; that's why he needs to go to silly sources. "Sarfati's nonsense has been adequately debunked elsewhere"
I think you should look up the words "adequately" and "debunk" in your dictionary, and come back when you've understood them. There's a reason why it's called the Dishonesty Institute, you know. We know life on earth currently depends on RNA and DNA. Therefore, any abiotic synthesis of these basis constitutes evidence towards abiogenesis. Why is this so hard to understand? It is only evidence that the 4 nucleotides can be synthesized. And living organisms depend on much, much more than RNA and DNA. IOW it is NOT evidence that living organisms can arise from non-living matter via blind and undirected processes. Sure it is. It is evidence that one step, which evolution deniers claimed could not be bridged, can in fact be bridged. At this point I cannot say any more. If you cannot accept this as evidence you are clearly not capable of reason. It is evidence that one step, which evolution deniers claimed could not be bridged, can in fact be bridged. 2- Who said it could not be bridged? 3- Stonehenge is made up of stones- duh- so by your logic blind and undirected processes can account for it. 4- I accept that the 4 nucleotides can be synthesized is evidence that they can be synthesized. Only a fool would think that is evidence for abiogenesis. IOW I understand your "reasoning". It doesn't matter how many peers review an article if they are entrenched darwinist rubber stamps. Only a fool would think that is evidence for abiogenesis. Then I suppose everyone working in the area is a fool, since they all accept that it is evidence for abiogenesis. Funny, all those physicists reject papers claiming that the earth is flat, too. I used to think that abiogenesis might possibly be a problem we would never solve (as a child, I imagined the fate of the dinosaurs in the same way), simply because it was so long ago, and so much has happened since to possibly erase the evidence. The resurgence of panspermia in the late 90s seemed like another possible solution, but obviously, unfortunately, it would completely sidestep the issue. But then I saw this video, and it more than satisfied all my interest in the subject. Since my interests are mainly physics and computer science, I consider the problem of abiogenesis to be satisfactorily resolved. Also, I think anyone who fails to understand the theory of evolution has also failed to understand the basic scientific process. Now that I've read some more comments, when Joe G said, "There isn't any evidence that non-living matter gave rise to living organisms via blind and undirected processes," I consider my previous comment to be a direct refutation. That is like saying that Stonehenge arose via blind and undirected processes because stones can arise that way. I understand the theory of evoluttion. I was an evolutionist before I started looking more closely and critically at thge "evidence". Ya see you can't even account for the physiological and anatomical differences observed between chimps and humans. You think they are in the genome- but no one has been able to make that link. Also youtube isn't a scientific peer-reviewed journal and that video doesn't contain any scientific data that shows that non-living matter gave rise to living organisms via blind and undirected processes. It is all someone's imagination. So if imagination equals scientific data then you have something. Since you blew off the popular description, if you really want, I will take the time to dig up and understand Szostak's work more fully, but only if you promise to discuss it with me further, (we can move the discussion off of Jeffery's blog, to be polite). When you say you were an evolutionist, but looking more closely/critically at the "evidence" changed that, could you expound that please? Obviously if you have something truly convincing, it would be worth the effort to provide it, as it may sway that vast mobs of unbelievers, so to speak. I disagree that no one has made those links, between genetics and anatomical & physiological differences among species; perhaps many (probably the vast majority) of specific instances remain unresolved at the moment, but certainly a large number have been linked in detail (simple example, tall parents tend to have tall kids). I consider this an inability to grasp the basic scientific process. For an excellent analysis of this issue, read Isaac Asimov's essay "The Relativity of Wrong," and ask yourself if a gap in a theory makes it completely wrong, or if right and wrong are really more shades of gray. I'm sorry if any of this offended you, I honestly don't mean to, I think it's important we come to a consensus. I look forward to discussing it all with you further. Best wishes Joe. We can't even account for the alleged loss of that opposable big toe. Also the theory of evolution doesn't make any predictions based on the proposed mechanisms of natural selection and genetic accidents. There isn't even a testable hypothesis for them. Why don't I accept the ToE? Because there isn't any evidence that the transformations required are even possible. This argument is moronic, as usual for Joe. I can't account for exactly how my grandfather got from Vitebsk to Hamburg, his first leg on his journey to Philadelphia. But that doesn't cast doubt on my theory that he probably traveled by train, horse, or foot. Unfortunately, the evidence is lost. It's likely we will never know exactly how various evolutionary changes occurred, because the evidence is lost in the same way as for my grandfather's journey. But like my grandfather's journey, we have an excellent theory that accounts for change. Moronic creationists can't accept that. Ya see we have no idea whether or not such a transformation is even possible. We have no way to test the premise. We can test the premise that someone can travel from Vitebsk to Hamburg and then to Philly. We cannot test the premise that a chimp-like knuck-walker can "evolve"/ "evolved" into a bipedal human via an accumulation of genetic accidents- nor any mechanism. IOW you don't have a "theory". You don't even have a testable hypothesis. All you have is a bald proclamation- as Mayr once said "we are comforted by the fact that evolution has occurred..."
And THAT passes for science! So now I am a moron because Jeffrey cannot support the claims of his position. A lie. Hypotheses in evolution are tested all the time. Joe has to lie, since he has no support for his claims. I have noticed that you haven't provided any way to test the premise. You can call me a liar all you want but it is very noticeable that you can't support your claims. So tell me Jeffrey how can we test the premise that humans evolved from chimp-like knuckle-walkers via an accumulation of genetic accidents? Or admit that you are a fraud. and come back when you've understood it. By the way, Joe, I'm not going to comment any more on this until you explain how you think theories in historical sciences are tested. Challenge for you: take any claim from an historical science about an event in the distant past, and explain how it is tested. Talk origins isn't a good starting place Jeffrey. And archaeologists can test the claim that it took human intervention- or human-like intervention- to bring about alleged artifacts. Stonehenge was designed and built in the past. We take our knowledge of cause and effect to figure out how it could have possibly came to be. But anyway, there isn't any genetic data that supports the transformation requirement. Yes there are similarities but we would expect that in a common design scenario. Yes similar genes are similar- so what? Similar genetics do not explain the physiological and anatomical differences. Cladistics is a man-made construct based on the assumption of Common Descent and trying to figure out the ancestry. It isn't evidence of Common Descent, it is our representation of how we think it went. So why did Jeffrey point to a website taht doesn't even address that? As Dr Behe ahs said many times- evidence for Common Descent is not evidence for a mechansim. So you are claiming that there is some doubt about that? But what we don't see in the biological record is innovations moving across kingdoms -- which is what we do see in human design. Mark Isaak wrote a splendid little article about this kind of thing, explaining all the disanalogies with design that we see in the fossil record. So imply saying "we would expect that in a common design scenario" doesn't deal honestly with the mountain of evidence that has served to convince nearly all biologists. there isn't any genetic data that supports the transformation requirement. You just lie, and lie and lie. At some point my patience will be exhausted with you. Your claim is false. We know that small evolutionary changes, such as polyploidy and changes to regulatory genes, can have a large effect on phenotypes. Now you can deny it all you want, but this is a known fact. This is the kind of thing that is studied in an undergraduate course on evolution. But Joe just prattles on and on, vapidly displaying his ignorance while calling everyone else an idiot. I guess drinking all that hydrogen peroxide has affected his brain. Exactly the same way we test any historical claim. We look at the evidence, and we see what hypotheses are most consistent with the evidence. In this case we have a mountain of paleontological data showing a progression of creatures from ape-like creatures to hominids, and we have a mountain of evidence that well-known genetic mechanisms such as mutation, selection, and recombination can produce such changes. If you want a comprehensive, step-by-step account, you're not going to get it in the near future, since our knowledge of the past is so fragmentary. But so what? I could just as well point to a single oxygen molecule in my room and demand that you explain how it got to that precise position. Despite the fact that we have a good knowledge of physics, no physicist in the world can retrodict the path of the oxygen molecule to say where it was yesterday. That doesn't mean that our theories about gases are suspect. The "accumulation" part of "an accumulation of genetic accidents" takes into account all selection processes. That is how they accumulate. Dawkins calls it "cumulative selection".